Acoustic Jam with John Barnes doing ‘World in motion’ rap! 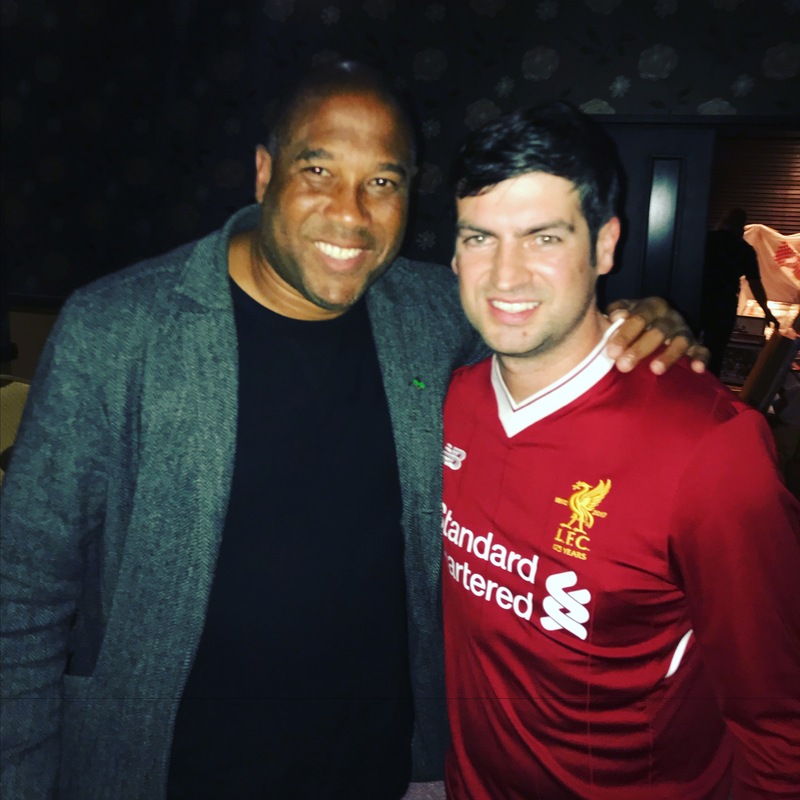 This weekend I had the privilege of sharing the stage with Liverpool FC & England legend John Barnes. At the end of the night John Barnes joined me onstage to perform the number one hit from New Order ‘World in motion’ on which John featured with his famous rap! See the video below & follow the link for the article featured in the Liverpool Echo. FRONT PAGE NEWS IN GERMANY! Last week I was lucky enough to travel to Germany for a gig in the Beautiful state of Brandenburg. The gig was in Himmelpfort at Stolpsee Boothaus (Boat House) & I performed on a stage facing the Marina, lake where the locals & residents had gathered. Some even made the 45 minute journey from Leegebruch (where I played last year!). The weather last week was uncharacteristic for the area & there had been severe rain & storms all week – Leegebruch was under 3ft of water with many homes & businesses flooded 😦 The rain in Himmelpfort had just about stopped when I took to stage at 7pm where I played a 3 hour gig. The opening line of the song states 20 years, but it’s now an incredible 50 years since Sgt Pepper Lonely Hearts Club Band was released in the summer of 1967. The exact anniversary date is 1st June 2017 & I’ll be playing at various events around Liverpool with Paperback Writers to celebrate arguably the most influential popular music album ever released. * Thursday 1st June – Sgt Peppers Cruise on the River Mersey! * Sunday 18th June – Paul McCartney birthday celebrations at Cavern Walks. This is a free event, we will be onstage from midday! 1 month today on 25th May, I’ll be doing another LFC legends night – this time Ray Clemence, Joey Jones, Phil Neal & Terry McDermott will be reliving their memories from exactly 40 years ago. 25th May 1977 was the date Liverpool FC lifted the European Cup for the first time in Rome & 4 members of that team will be at the Hilton Hotel, Liverpool for what’s set to be a special night. For tickets please get in touch via the CONTACT PAGE. VIP MEET & GREET tickets are £50 with food, or £40 without. Brazilian & Liverpool midfield “Magician” Philippe Coutinho was in the Cavern Club last night, watching my gig. After I posted a photo on Facebook, a reporter from the Liverpool Echo got in touch. This week I’ve received the fantastic news that I’m going to be featured in a new Australian promotional campaign for Liverpool as a destination. The promo is being put together by Junkee Media for Oz travel giants Qantas & Uk tourism Visit Britain – it will feature clips from my ‘What’s it like in Liverpool?’ music video as well as some live footage they shot from a gig in the Cavern Club. The video will feature as an online campaign, but also be played at the carousels (where you pick up your luggage) at all Qantas airports across Australia. So far ‘What’s it like in Liverpool?’ has had 500,000 views across the globe, with the figure still rising – still hard to believe me buying a ukelele while gigging in China would lead to this! ?